The Infant Toddler class for children 6 weeks through 18 months of age employs the Creative Curriculum combined with the Montessori Approach. This program is available 12 months per year with rolling admission based on availability. Partial week schedules may be available based on enrollment trends. 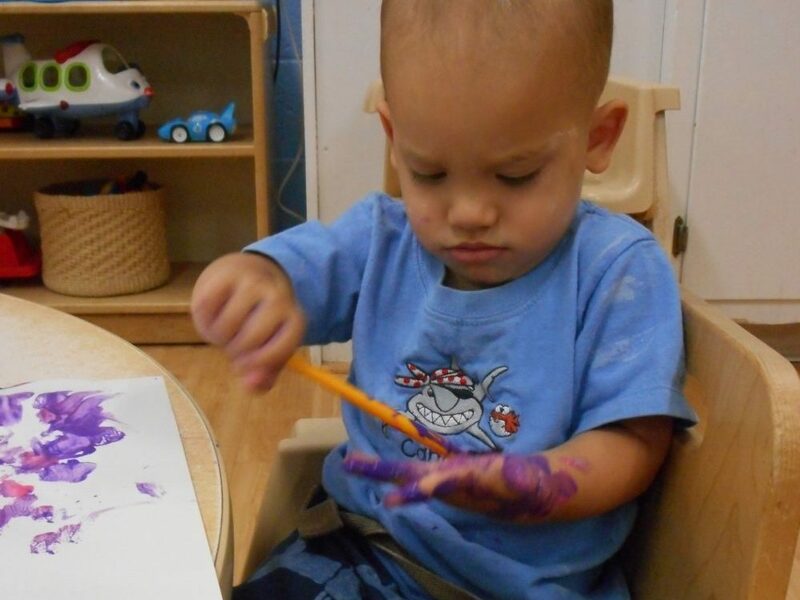 The infant-toddler classroom accommodates no more than twelve children from six weeks to eighteen months of age with an adult-to-child ratio of one to four. Our program is based on accepted theories of child development and the Montessori approach. Maria Montessori defined the first three years of a person’s life as the “unconscious absorbent mind stage.” She observed that infants and toddlers absorb everything from their environment without any conscious censorship. She believed that children should enter this world in a protected environment. At Windsor Montessori School the infants and toddlers are provided a developmentally appropriate environment that is safe and nurturing. 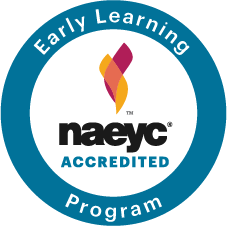 Materials in the Infant Toddler classroom have been purposefully selected and the caring staff is experienced in recognizing developmental milestones in order to nurture and support the learning opportunities of each child. The warm and loving environment promotes a balance of peaceful comfort and engaging stimulation for our infants and toddlers. Children are free to move about the environment exploring areas of interest and Montessori materials. One goal of Montessori education is to offer an environment supporting individual children’s need to gain control over their physical movements. The physical environment is safe, healthy, and arranged in a warm, home-like setting. It is equipped with soft elements, infant swings, chairs, mats and bars that the babies use for pulling-up exercises. Each child has their own individual cot or crib. The eating area is equipped with child-sized tables and chairs instead of high chairs. The outdoor environment is an essential component of our daily program and provides rich experiences for infants and toddlers. Children have the opportunity to play on the playground and explore the neighborhood from a stroller. Daily outside time is provided weather permitting. Children’s language skills are enhanced by teachers using storytelling, flannel board activities, music and movement, fingerplays, and open-ended conversations. In addition, we have a ½ hour weekly music and movement class. Children form personal bonds with consistent caregivers these bonds are the foundation of all future relationships. A bond with the child is developed daily through diapering, feeding, and play activities. These interactions supported by the orderly environment provide the child with a sense of trust in the world. During the first ninety days of enrollment, families will complete a developmental assessment. Assessment results along with teacher observation are used to plan appropriate curriculum activities and interventions if necessary. Families are invited to conference with the classroom teacher throughout the year. During these conferences teachers share progress and set goals for the child’s development. Families also receive a daily note outlining their child’s daily activities; meals; naps; and diaper changes.